On Dec. 7th I was enlisted for a special ops mission to the remote polar ice region of Siple Dome. 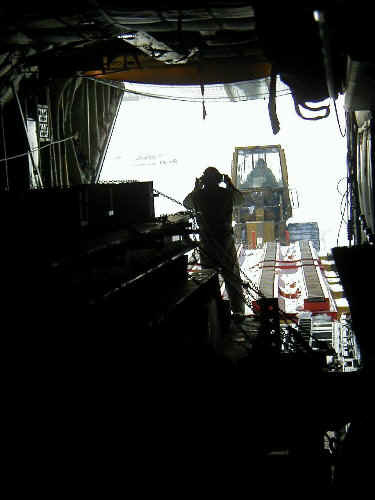 In order to reach my destination I hitched a ride with Operation Deep Freeze flown by our Air National Guard. As I was the only passenger on this flight I got to sit on the flight deck with the crew. This was remarkably more enjoyable than my last flight as I had windows to look out of. 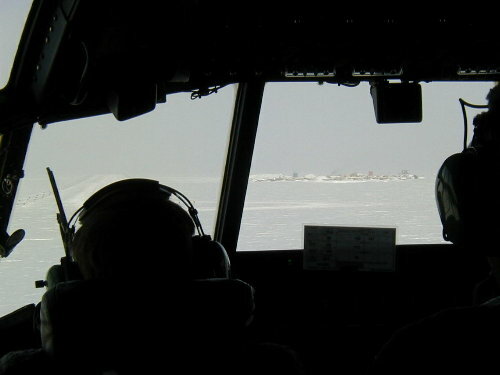 Immediately after take off we flew over the Trans Antarctic Range and set a course due south. Once we crossed the mountains the scenery transformed into an endless sea of the white and featureless ice shelf. For 3 hours the landscape did not change until this view appeared out the cockpit window. 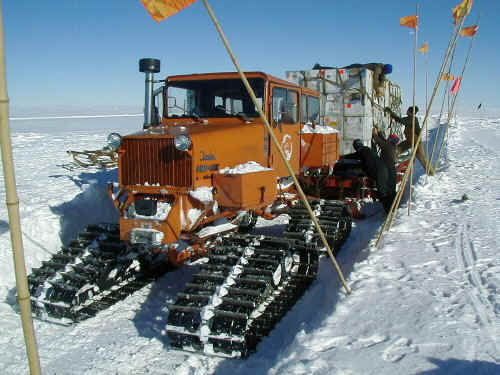 We had arrived at the South Pole and the Amundsen Scott Base. 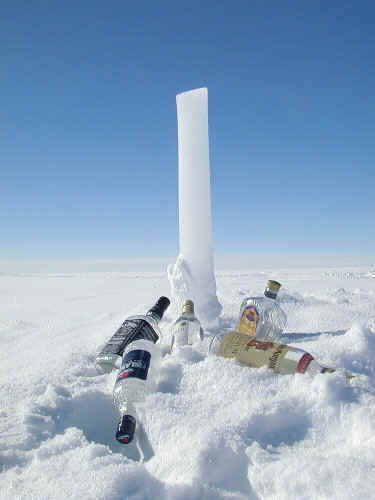 Our visit to the South Pole lasted a brief 20 minutes. 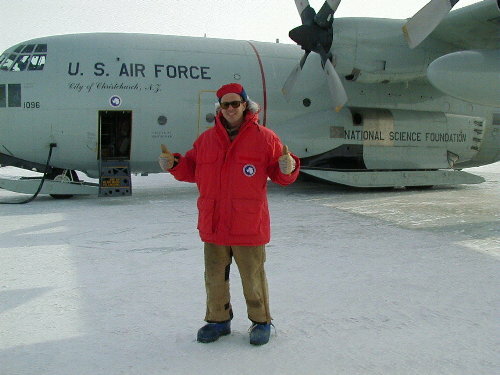 My mission had been combined with a cargo flight to the Pole. Here the crew is unloading steal framing which are part of the stations renovation project. Amazingly everything here at the Pole arrives in the belly of these C130 Hercules. Stepping out of the plane was definitely a shock to the body. The Pole sits at an altitude of 9,600 feet and today reached a balmy negative 33F. The flight from Pole to Siple Dome continued across the ice sheet to be broken up once again by the Trans Antarctic Range. We flew over massive glaciers that are swallowing entire mountains. 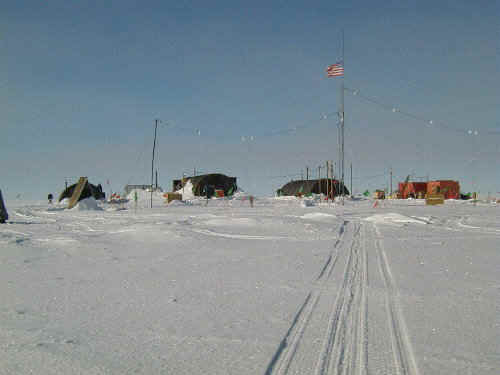 This shot here is of Siple International Airport, which rest at 2,200 feet on top of an ice dome. Welcome to the big city of Siple. If it were not for the surrounding Antarctic environment one might feel as though they had stepped back in time to Korea. Most all of the facilities and equipment here are military issue and remnants of that war. Even though the science facilities, galley, and maintenance areas are housed in these jamesways all of us sleep in tents. Happy Camper School is now paying off. This here is the reason I have come to Siple Dome, 1,007 meters or 3,303 feet of ice. A research team has been here for the past 3 years drilling out a core representing the climatic history of the past 20 to 80,000 years. 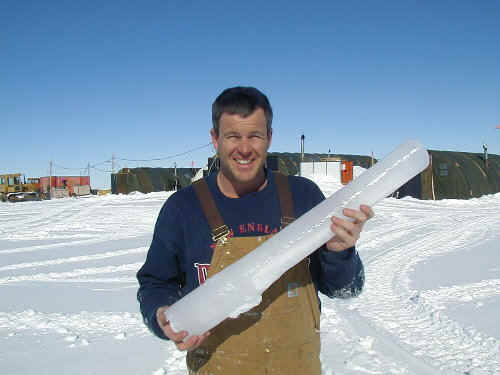 As I have years of experience in handling ice (they do not need to know that it has been only in cocktails) I was requested to assist in the packaging and moving of the ice core back to McMurdo. 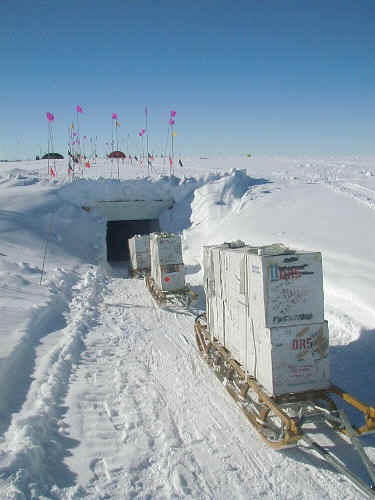 This ice cave was built a few years ago to store the cores. As the project reached deeper into the dome, samples were being brought up that had been under tremendous pressure. If the cores were transported as soon as they reached the surface they would shatter. To avoid this the core remains in the cave for a year allowing the compressed gasses in the core to slowly expand and dissipate. 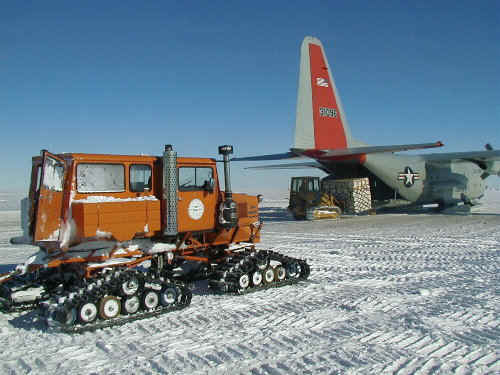 Once the first set of sleds were loaded we waited until our C130 had landed before bring the ice out of the freezer cave. Even though this is Antarctica thawing of the ice was a major concern. 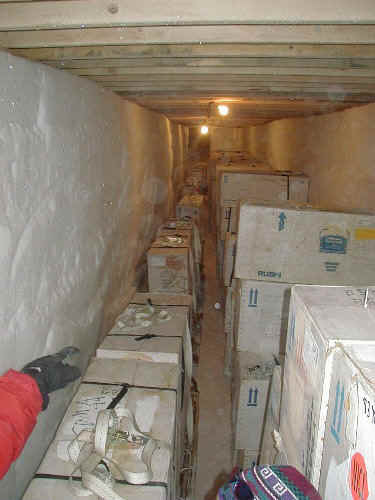 Each of these boxes contained 4 sections of ice core with an unbelievable value of $100,000 per box. I definitely did not want to know if there was a you break it you buy it policy. As soon as the radio call came with confirmation of touch down we opened the doors and rushed the ice out on a train of sleds. 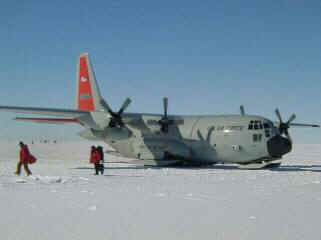 With in minutes the ice was loaded on the waiting plane to be transported to McMurdo for storage in the station freezer. The ice will remain there until February when our re-supply ship, the Greenwave arrives. At that point it will be loaded into freezer containers for the voyage to Southern California. 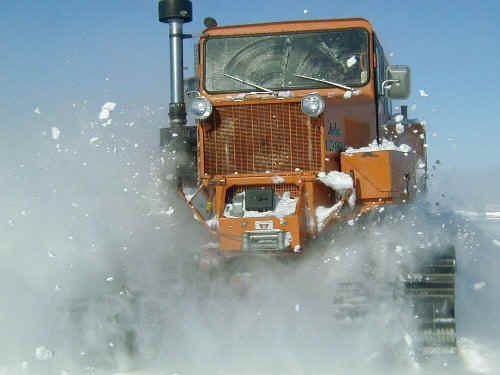 The ice will make its final leg by truck to Denver and the National Ice Core Lab. This will be its new home for the next 20 to 80,000 years while it gets analyzed. With our work complete it was time to celebrate with a Christmas feast. 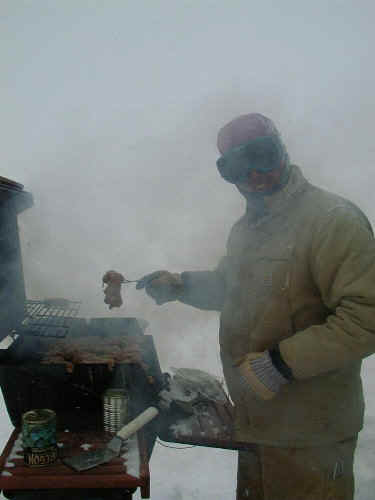 We had planed a mid day dinner as my return flight to McMurdo was scheduled for latter in the day. As you can see the conditions may have been ideal for a BBQ (as if there were ever a bad time) but not for the landing of a C130. As it turned out I was stranded at Siple for another week. This did not cause too many traumas as we were well provisioned for such a delay. I just hope this missing bit of ice from the Pleistocene era is not that critical in the research project.